Your truck is both an important tool that helps you work and helps you have fun. While your truck is great, there are probably some things about it that you wish were a little different in order to better serve your needs. Now, there is a fast and easy way to turn your truck into a one-of-a-kind machine that is tailor-made to fit your life and the reasons you use your truck. For the best truck accessories in Jacksonville, give Safari Truck & SUV Accessories a call today! 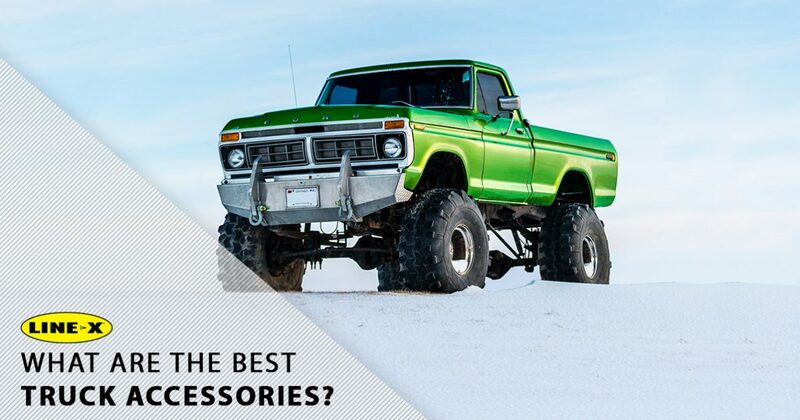 We have a wide range of accessories that are built from the toughest materials so that you will have years of use, no matter what it is that you use your truck for. A spray-in bed liner from LINE-X is one of the fastest, easiest, and most effective ways to keep your truck bed in great shape. The LINE-X material is the strongest spray-in bed liner material on the planet and it offers a truly custom fit that bonds directly to your truck’s bed to provide the best rust prevention and scratch protection around. These liners dampen sound, absorb impact, resist scratching and scraping, and are guaranteed not to crack, peel, or bubble when installed by an authorized LINE-X dealer like Safari Truck & SUV Accessories. Our technicians have all the tools, as well as years of experience, to ensure that your bed liner is applied perfectly the first time. Bed covers offer protection from the elements and from sticky fingers. At Safari Truck & SUV Accessories, we have a number of strong, stylish bed covers designed specifically for your truck. Call us today to find out about the tonneau covers that we have available. We have soft tonneau covers that roll up as well as folding hard and soft versions and hard tonneau covers that lift up to allow you access to everything in the bed of your truck. Nerf bars allow you to climb in and out of your truck more easily. They are great if you have a lifted truck, your kids have a hard time getting up into and out of your truck, or if you just need a way to knock mud or dirt off of your boots before tracking it into your vehicle. 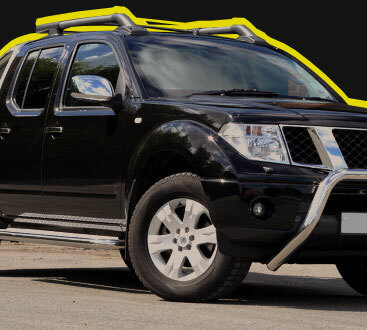 We have many nerf bars to choose from that are sure to fit your personal style as well as being a perfect fit for your truck. Call us today for information and a free quote on the best truck accessories around! 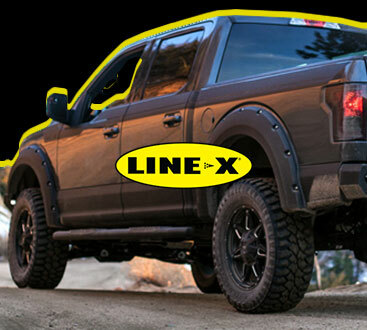 We are proud to be an authorized LINE-X dealer and installer who will perform the best possible work on your SUV or truck. No one else in Jacksonville has the experience or skills that we have to to improve your truck. When you trust us with your truck, we will treat it as if it was our very own. We will never cut corners to save time or save our shop money. Instead, we will do the work the right way, the first time.